Join us on our Port Stephens Beginner Ladies Golf Tuition Long Weekend, fully hosted by Swing Fit and Golf Australia Community Golf Instructor Andrea McGann. The focus of this weekend will be ensuring you have fun on the golf course and that you increase your confidence while playing, regardless of your ability. 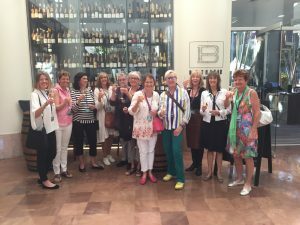 The Port Stephens Beginner Ladies Golf Tuition Weekend is about having fun, improving our golf, meeting other lady golfers and having a relaxing time. On this Golf Tuition Long Weekend you’ll stay at the Cote d’Azur Apartments, located in the heart of Nelson Bay. You’ll play 3 rounds of 9 hole golf at Pacific Dunes Club, Horizons Golf Club and Nelson Bay Golf Club. Andrea will “float” between the golf groups as you play, offering tips and on course tuition to improve your game. There will be time when you are off the golf course to enjoy the gorgeous beaches, aquatic adventures and waterside shops in Nelson Bay. 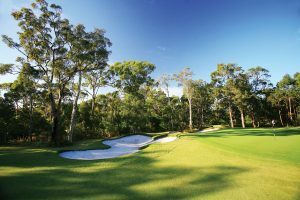 After golf on Saturday we will have a leisurely long lunch at Murray’s Craft Brewing Company which shares its home with the region’s oldest winery, Port Stephens Winery. Come join us for a fun Port Stephens Beginner Ladies Golf Tuition Weekend!